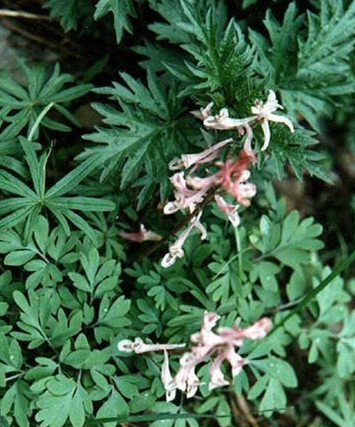 The drug is the dried entire herb of Tephrosia purpurea (Linn.) Pers. (family Leguminosae). growing in plains and hillsides, and distributed in Fujian, Guangdong, Guangxi and Yunnan of China. Slightly bitter, cool, toxic; lung and spleen meridians entered. It is used to relieve exterior syndrome and clear heat, invigorate the spleen and eliminate dampness, and to promote the flow of qi and relieve pain; for the treatment of cold due to wind-heat, indigestion, externally for eczema and dermatitis. Root is used to clear away heat and remove stagnated food; for the treatment of indigestion, stomachache and abdominal pain.